CVS Health promoted its senior vice president of client services, Roshan Navagamuwa, to executive vice president and CIO. Navagamuwa will lead technology operations and innovation, including client services for CVS Caremark. 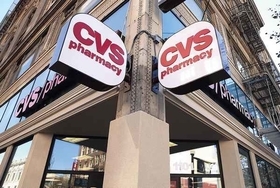 One of his primary responsibilities will involve overseeing integration of the company's IT systems with Aetna's, according to a CVS Health statement. CVS Health and Aetna closed their merger in late 2018, nearly one year after they first announced the deal. Under the $70 billion merger, Aetna became a stand-alone unit within CVS. Navagamuwa will partner with Meg McCarthy, the company's executive vice president of operations and technology, to lead integration of CVS Health's and Aetna's IT organizations. McCarthy was previously executive vice president at Aetna. Navagamuwa joined CVS Health in 2012 as a vice president of IT for the company's government businesses, and was tapped to lead client services in 2016. He has served as interim CIO for the last year. In his new role, Navagamuwa will report to Jon Roberts, executive vice president and chief operating officer of CVS Health. "Roshan's knowledge of our business and the complexities of our operating environment, along with his strengths as a leader, including his focus on diversity and talent development, make him the clear choice to be our next CIO," Roberts said in a Feb. 27 statement on the appointment.